Biomedical science helps society through applying new scientific knowledge to medicine and healthcare. Pursuing this vibrant, relevant and topical area of study, you'll gain an understanding of health and the methods for diagnosing and treating disease. You'll be equipped with comprehensive knowledge and skills in the fundamental sciences relevant to modern medicine such as biochemistry, cell biology, genetics, microbiology, molecular biology and physiology. You'll also study the more medically and clinically-oriented courses such as anatomy, clinical pathology, immunology, infectious disease, neuroscience and pharmacology. You'll be starting your preparation for a career in biomedical sciences largely through hands-on, laboratory-based training. Join us at the Pathways to Medicine Evenings this May. Griffith has an impressive reputation in the biomedical sciences. Australia's first Bachelor of Biomedical Science was designed and taught at our Nathan campus in 1991 as a specialist pre-medical degree. Based on more than two decades of expertise in designing programs and teaching in the biomedical sciences, our flexible suite of degrees delivers proven pathways to graduate medicine, biomedical research, the allied health professions and a wide range of other careers including medical diagnostics. 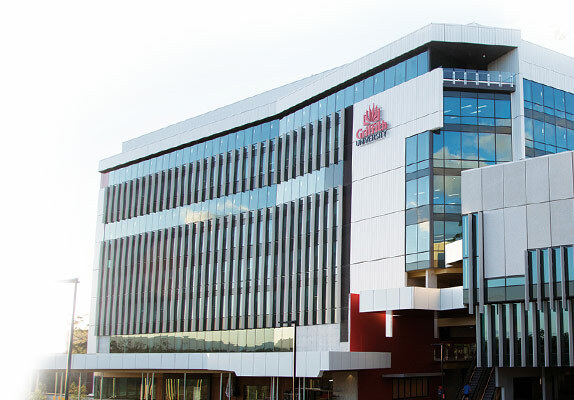 As a Griffith biomedical graduate, your core knowledge and work-ready practical skills will be highly regarded, throughout Australia and internationally by medical schools, hospitals, allied health professions, medical research institutes, government research organisations, pathology, pharmaceutical and biotechnology companies. You'll learn from internationally recognised teachers and researchers, leaders in their field who are approachable, enthusiastic educators. You'll benefit from a personalised approach that puts the emphasis on developing your knowledge and skills for academic and professional success. You'll have opportunities to take part in research projects and professional development activities in world-class environments. You'll also have the advantage of peer mentoring programs and student and staff social networks, helping you develop as a valued member of the Griffith biomedical community. For a career in medical research, a biomedical science degree with honours and in accelerated mode will give you a head start. If you choose to pursue further study, you'll be well placed to apply for our graduate entry medical degree, the Doctor of Medicine; or you may opt to continue with postgraduate research or coursework study.